We tested two versions of the Mini: the standard model, which supports 16 million colors, and the Mini White, which is limited to a warm 2,700K color temperature. A third variant, Day & Dusk, simply straddles the gap by offering various warm and cool tones of white, much like the Hue White Ambiance. You can achieve the same effects with the full-color bulb. The primary advantage of a Mini is cost. Whereas the flagship LIFX bulb costs $59.99, its Mini equivalent is $44.99. A Mini White is $24.99 -- a lot more budget-friendly for people wanting to equip an entire house or apartment. Multi-packs are available too. All three Minis offer adjustable dimming, and a peak brightness of 800 lumens. That's about the same as most smartbulbs, but much less powerful than the 1,100 lumens on a full-size LIFX. Indeed during testing the color model we found some shades were noticeably weaker, so plan your lighting accordingly. One of the chief advantages of LIFX is that each bulb has its own Wi-Fi radio, eliminating the need for a hub (except for HomeKit -- see below). This makes setup relatively easy, though you'll need a LIFX account to "claim" each light, and you'll probably have to run firmware updates to make HomeKit setup and controls work properly. Another issue we encountered was that the Mini operates only on 2.4-gigahertz Wi-Fi, not 5 gigahertz. Depending on your Wi-Fi setup that might make it difficult for an iPhone or iPad to see a bulb, particularly if you have several neighbors running their own 2.4-gigahertz networks. As with most smarthome accessories, you'll need a proprietary app to get the complete range of options and settings. This includes a range of preset room themes, like "Sports" and "Soothing," along with effects like color cycling, candle flicker, and a microphone-based music visualizer. Some of these are gimmicky, but many can't easily be replicated in HomeKit. Particularly important is the "Day & Dusk" mode, which adapts brightness and color temperature to the time of day. You can't tweak those settings directly -- instead you set up "Wake Up," "Day," "Evening," and "Night Light" phases, toggling them on and off and choosing start times. The results were pretty pleasing though, to the point that we eventually preferred it to HomeKit for a morning routine. We'll also briefly tip our hat to the fact that LIFX offers native iPad and Apple Watch interfaces. Some accessory makers work on the assumption that you'll always have an iPhone handy -- which, even if you do own one, isn't always practical. HomeKit, of course, means that that the Mini can be integrated into complex scenes and automations, as long as any third-party accessories have the same support. Your lights can turn off when you leave home for example, or on when someone unlocks the front door. If you don't care about Day & Dusk you can create time- and date-based triggers, including ones relative to sunrise and sunset. There's not too much to say in connection to LIFX specifically, but there are some important limits. You'll need an Apple TV, iPad, or HomePod running as a hub if you want remote access and automation, and the iOS/watchOS Home app will only let you command a bulb to change to a specific brightness and/or color, or else turn off completely. If you're not comfortable depending solely on Apple hardware, the Mini also works with things like IFTTT, buttons by Flic and Logitech, Logitech's Harmony Elite remote, and two other voice assistants in addition to Siri, Amazon Alexa and Google Assistant. We were able to test our bulbs with Amazon's Echo Dot speaker, which worked perfectly fine. There are also integrations with Nest and Scout Alarm, the former being the more interesting since a Nest Thermostat, for instance, can trigger random lighting while you're on vacation, or a Nest Cam can be set to dim lights when when motion quiets down. Both systems can trigger visual alarms. If there's anything close to a serious gripe we have with the Mini, it's only that on the standard model, colors we picked in the LIFX or Home apps sometimes didn't translate into the real world. In those cases, it was just a matter of experimenting until the right shade appeared. The Mini White produced a very soothing light perfect for bedrooms or late-night work. The Mini White at 89 percent. Should you pick a Mini over a Hue, or some other smartbulb? Well, that depends. If you already have a Hue hub and matching lights, you might as well stick to that platform unless you're encountering specific problems. If you're fresh to the smarthome world or not particularly loyal, we'd say you should strongly consider LIFX -- price out options, check your Wi-Fi network. 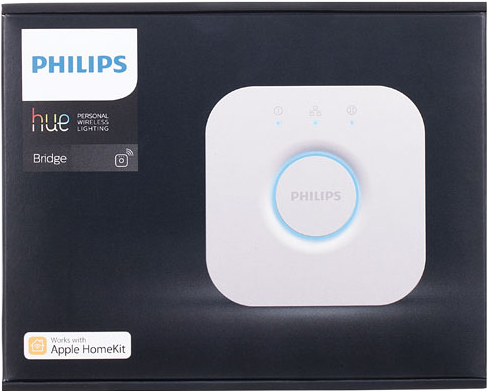 It's nice not having a hub hogging an Ethernet port, and with HomeKit, Philips' early advantage has been kicked away. The more critical question is whether you should pick a Mini or a full-size LIFX. The latter is better if want a single bulb to cover an entire room, or simply if you want the brightest lights possible. Otherwise, the Mini should do the trick. The LIFX Mini White can be purchased at Amazon.com or Best Buy for $24.99. The multicolor LIFX Mini, on the other hand, sells for $44.99 at Best Buy with free shipping. If you buy Lifx over Hue you are a damn fool. Don’t buy your lights from LIFX, opt in for the Phillips Hue system instead. I had some trouble when I wanted to crouwdfund LIFX’s lights when they where on KickStarter a while back, their CEO Phil Bosua has not been helpful and has been very rude to me. I would not never invest in LIFX ever due to his comments. And the Hue lights I have bought since have been working great, there are many cool apps like Ambee to control them, and they from Phillips so I know it has got a lifespan and support I expect. I backed Lifx on Kickstarter, had 10 bulbs for the past 3 years with no problems. I’ve had friends buy Hue and they have switched to Lifx for various reasons. I would talk to friends who own both and play with their bulbs before purchasing. If you can’t do that view YouTube comparisons. I feel left out by this whole thing. When we remodeled some years ago we had the latest and greatest low-voltage high intensity tiny halogen R spot recessed fixtures installed in all our ceilings. There seems to be no retrofit bulbs from this new system to fit them. Do the manufacturers assume that everyone has old incandescent pear shaped bulbs in floor lamps? Let me know when either of these are $9.99 for a 4 pack! I really like these Homekit hands-on articles. Well done. I use a few Z-wave controlled items (with Vera Lite as the hub) but haven't made the jump to Homekit yet. Keep these articles coming! Edit: I should say that I prefer Z-wave over WiFi due to WiFi being used for ever more devices (Z-wave uses a different frequency). So I'm waiting for a Z-wave controller that plays nicely with Homekit. Vera has said they would make one, but no details were given. Please don't get confused and think that any company that started on Kickstarter is a player. continue to work even if the bridge fails because they use their own protocols (Zigbee and Clear Connect) for bulb to bulb communication. I know this because i've had my Hue system for near 5 years and even internet outages have little effect. "This one goes to 10". Been using Hue for three years never had an error on the hub and for the app: all you need to do is push a button. They need to make a cheaper product without all the bells and whistles that’s simply hardwired to mimic the color of an incandescent lightbulb. No wifi, no app, no HomeKit. That’s the bulb I would like to buy. So... a light bulb. Maybe check Home Depot or Walmart? Any 2700K bulb will do. both have more of that orange yellow incandescent color as they dim. While the Hue app was less than stellar, it doesn’t matter to me anymore now that I use HomeKit. Apple’s Home app is all I need to build scenes and set colors and dim levels. You can buy that today. Standard LED bulbs at 2700K light temperature (warm). I have mainly Hue bulbs, switches and sensors. They are no problem at all. I bought 2 Lifx bulbs to try. Yes, they brighter with good colours but the app is terrible, setup is poor, physical controls require expensive aftermarket switches and hubs and, despite Lifx saying it could be done, I can’t get them to function with the Hue switches. I don’t want to carry a phone around with me in the house or have to ask Siri to turn lights on and off. I'll add another positive vote for Hue over LIFX. If you're handy with code, you can write your own for Hue using the Hue API which is open and documented. It's pretty awesome. I programmed the brightness keys on my Mac Mini's keyboard to control my Hue. With an if/then statement for each applescript, each key is a toggle between two scenes (two bright scenes on one key and two ambiance scenes on the other). I'm a big fan of Hue. My thoughts exactly. I'm using a Flirc usb IR receiver with a Raspberry Pi to program Hue into my universal remote (I used to use Flirc and my Mac for this too, but a few months ago, I bought a $35 Pi for my entertainment center. It's a slick setup). So I'm basically looking for a budget friendly single bulb for my front porch that I can control remotely. I'd prefer it to be Homekit compatible since I already operate mostly in the Apple ecosystem. I have an Apple TV 4. Is this $25 mini white probably my best bet or would anyone suggest something better (i.e. cheaper but just as good or something better for the same price)? Seems like all the suggestions for Hue over this are concerning features and setups that don't really matter for my very basic setup. The Lifx mini is probably an excellent choice for this scenario. I believe that systems that do not need a bridge are mostly beneficial for small lighting needs. The minute you move to an environment where you may have 40 bulbs you really want a controller of some sort and that's what the Bridges do well. Except for the 1,100L bulb, I'll stick with Hue. Not that Hue has been stellar, it hasn't. Setting up scenes and colors has been problematic for me. I haven't found a tutorial (yes, I need one) for Hue and HomeKit. For instance, somehow I got a pre-HomeKit sensor to accept a 'scene' of turning on a light in red during some night hours. During the day it's white. I tried to do the same with a second sensor and second light and it doesn't work. If the second light is already on at night (red) activating the sensor will turn the light on but white. I am nowhere near using IFFFT or using code to change the behavior of the sensors or lights like some supernerdgeeks do. 1) that the bulbs are maxed at 800L and that's only at around 4000ºK. Output drops on either side of that. 2) Hue only does bulbs and sensors, not switches for appliances. I understand that to sell switches could cost them some sales in bulbs, but I'll have to get an additional system for devices. I'm envisioning Green Power (no electricity) wall switches, in-wall Zigbee AC outlets, motion sensors and more as options.